Maybe it was a broken link, a misspelled URL or some page you wrote back in 1997 that just needed to go. 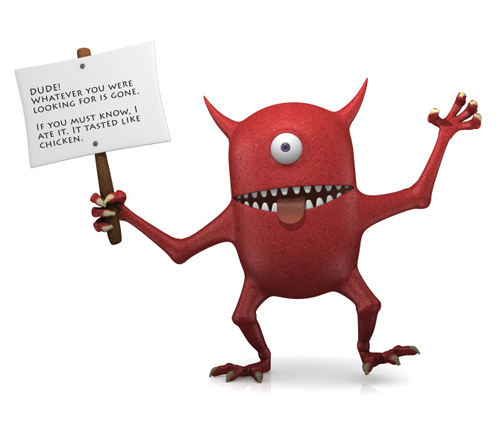 Whatever the reason, it’s inevitable that visitors are going to land on your 404 Error page. Having a unique well-designed 404 Error page can help to keep visitors engaged with your site when they land on a missing or non-existing page. If you can effectively guide these visitors to navigation buttons or a search box and possibly even get a chuckle out of them, you just may win yourself a new loyal visitor. Gdzilla’s 404 page is pretty creative and functional. The text above the “Godzilla” links back to the homepage. The neat little Godzilla graphic keeps it interactive by following the mouse with his eyes and growling at you when you click him. 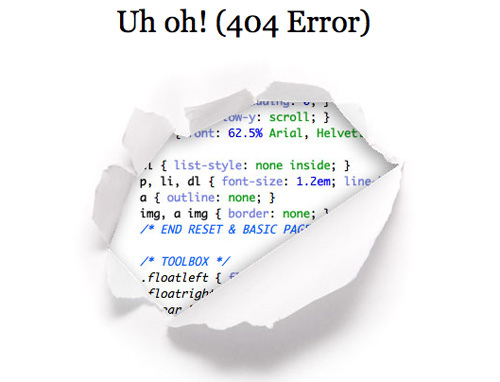 CSS-Tricks was smart in his 404 design by adding a neat little 3d graphic showing a torn page revealing some CSS code in the background. He also point users in the right direction by suggesting the user look to the sidebar for some navigation or offering a contact link if they feel that the page should be there. Merge’s 404 includes a little audio as their graphic “harks” at you while also including functionality with a search option. How about a video 404 page. Version Industries has a pretty unique 404 displaying a video from the POV of a webcam of what appears to be their (IT guy?) wearing a 404 shirt just staring at the computer working. Refresh the page to change characters. The 404 of Zivity lets you know that the page is gone, tells the user that they still care for them, and then gives them some page navigation. You can always keep it simple like Urban Outfitters does with their 404. Fluther puts a face to the missing 404 user adding a bit of humor. You could always offer a completely irrelevant option to your missing page as does CSS Leak. In an attempt to find some non-existing CSS inspiration they offer up a couple of drink recipes. Blizzard lets you know that you broke their site when you type in non-existing links. 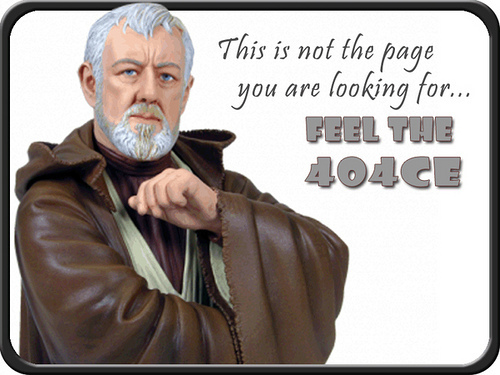 How about an interactive DOS 404 page like THCNET has. Try typing “open the mailbox” to start the adventure. I like the creative use of a billboard sign that The Hype Machine uses on theirs. Hi,I’m uses a little Pulp Fiction humor to inform you of the missing page. 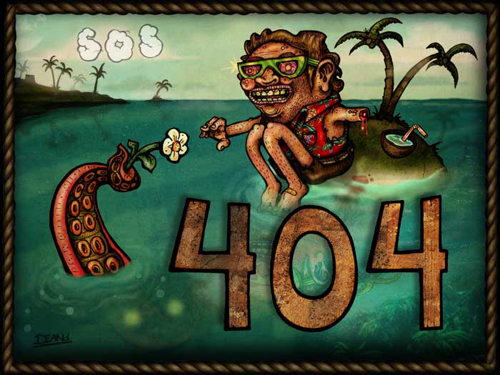 The 404 by Soocial is pretty clever and also hard to look at. It provides a funny fill-in-the-blank email form to let the team know how you ended up on the page and also throws up an image of a gun-toting, package-revealing, mustache-bearing guy sporting a very unique outfit. If you land on the wrong page over at Orangecoat, you can be certain that their flowchart can guide you in the right direction. Note: Unless you have some amazing vision, you’ll need to click on the image link to be able to read the text on this one. The guys at Slonky have a pretty funny error page. It reminds me of the Michael Bolton character in Office Space, minus the lack of hair. 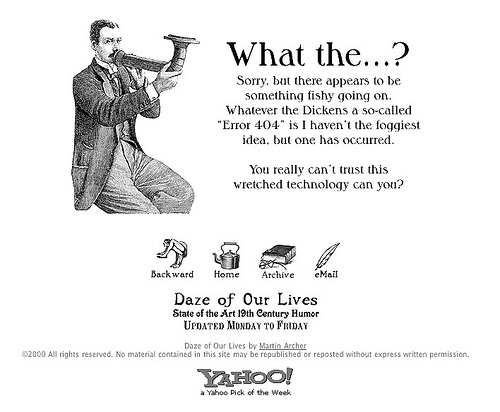 A vintage take on a 404 error page via Daze Of Our Lives. 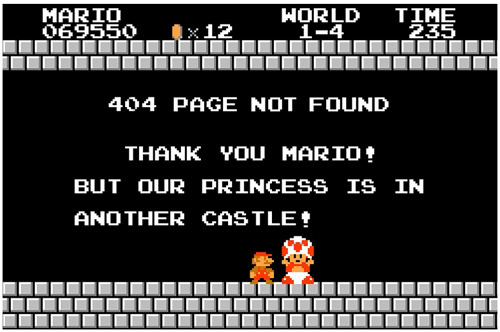 Dawdle got creative using a Mario Bros. screen-cap to inform visitors about a missing page. 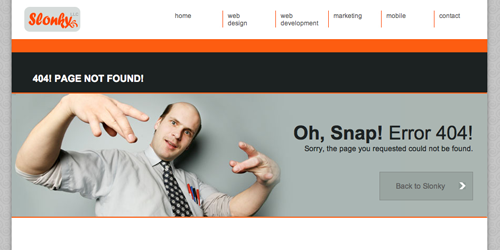 Just Creative Design has a good one playing off of the phrase “Oh, Snap!”. 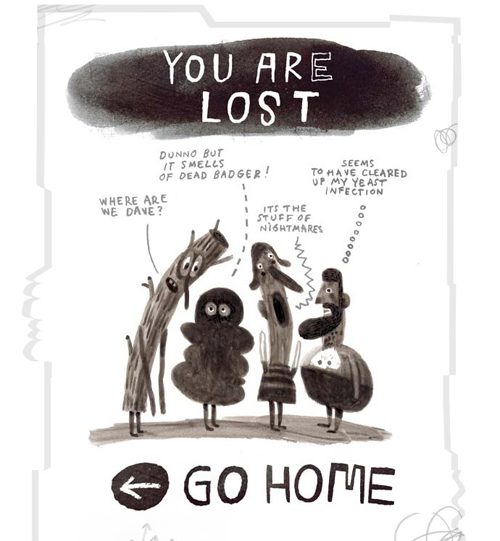 A classic 404 error page from Rush68 that touches on the subject of boredom. 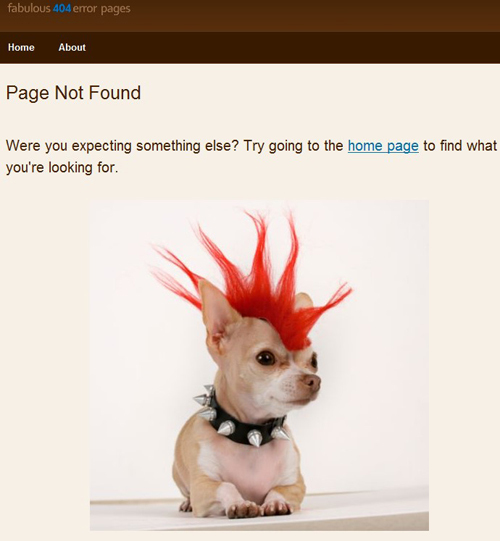 Centerd uses the “I’m sorry” kitten face and a little humor in their 404. This is one of my favorites. 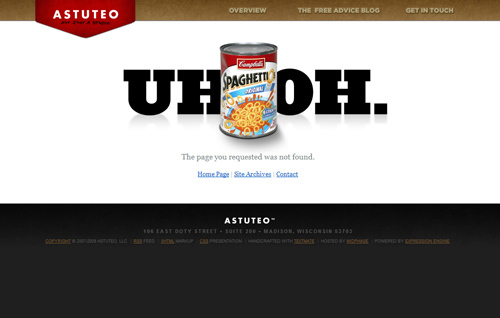 Astuteo really nailed it when it comes to originality. Type in the wrong address at RomList and you will see the end of the internet. Push the Shut Down… button to see whats next. Here’s a good one over at rbardini.com. WeFollow uses a quote from Back To The Future for their 404. 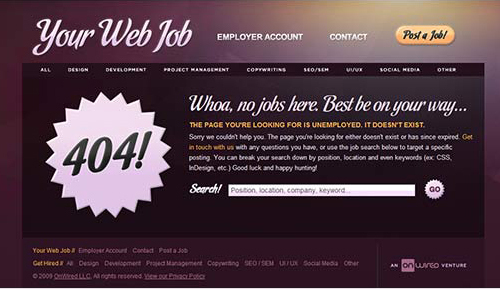 You may find an unemployed page at Your Web Job. This is another one that uses a search box as a way to keep the visitor on the site and away from the back button. The wrong URL could possibly break the internet according to the 404 of Digital Mash. This is a good one. Click on one of the flashing empty images to continue the random journey. Your requested URL could be lost in space – via GOG. Offering a sad face and some page links to get you back on track works for Suspended Animations 404. Blue Daniel has a very unique customized Flash 404 page. Move the mouse around to interact. Here’s a good one from Acro Media. You know South Park is going to have a good one. Using a design that fits your website can show users your creativity. Take Lessons, a music lessons site, was smart to incorporate an image and quote from “The King” himself. Here is an interesting one from Surfing On Static. 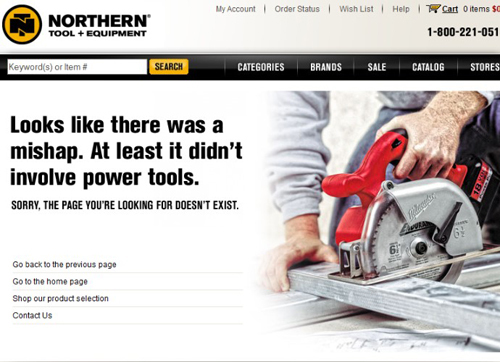 Here is another good example of incorporating your product with your 404 over at Auto Test. A little Bono humor from Badmouth. 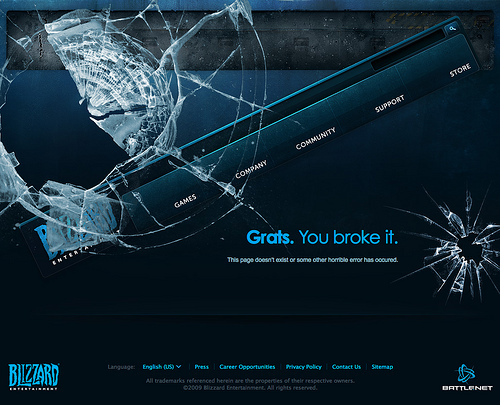 AntxFx uses some symbolism in their 404. 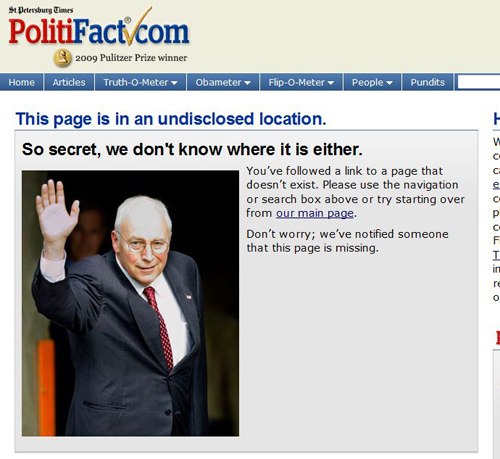 Here is one using a little political humor at PolitiFact. “Maybe this page is a figment of your imagination. Maybe you’re a figment of your own imagination.” A funny 404 from TellTale Games. 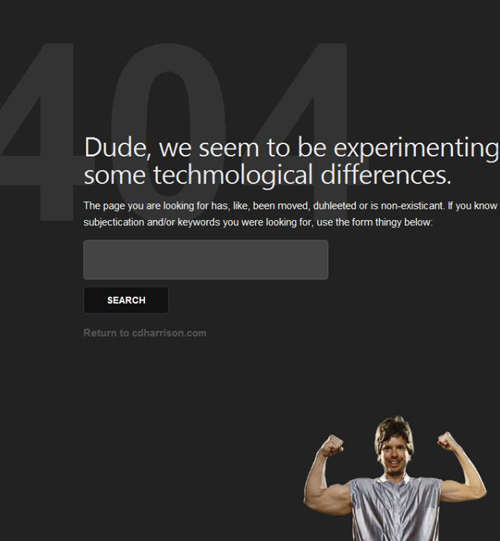 Keep hitting the refresh button for several funny “Fail” images on taptaptap’s 404 page. I think it’s great that when you hit the wrong address at Game Lib that at least you get a free pong game out of the error. 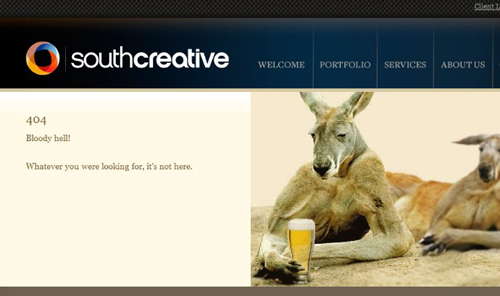 SouthCreative was being just that when they designed their 404. “It smells like dead badger!” Here is an interesting one from Aardman. Twitter keeps it simple with a search box and some page links. Comedy Central offers up a funny comic and then redirects you to the homepage after a few seconds. Snapple keeps with the theme of their site, bright and vibrant, and suggests you use the above navigation. MailChimp uses their chimp icon in the design of their 404. Here is a funny one from African Budget Safaris. 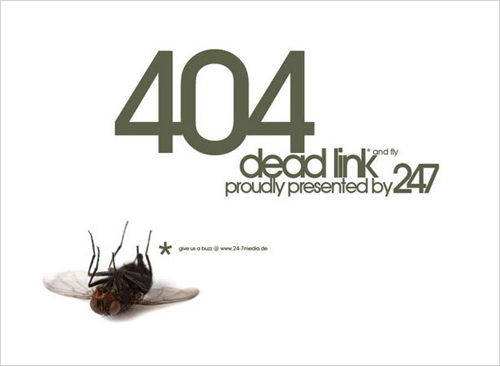 If you’ve enjoyed this list, then take a look at Fab404. The whole site is dedicated to 404 error pages. Ha! I’m glad I’m not the only one who knows that movie! You should add mine as well. Not sure what was going on there. Most of these images were direct screen shots. Thanks for pointing that out. The Image has been updated. 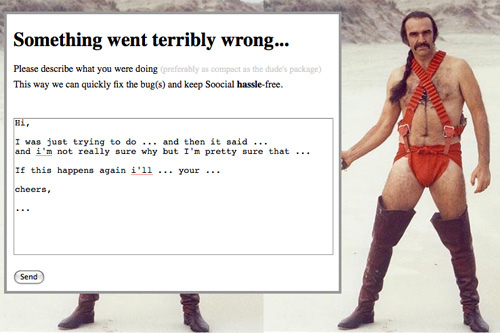 The 404 page from Social is a clip from the movie ‘Zardoz’ (1974) starring Sean Connery – yes, it’s him in his youthfull days ! 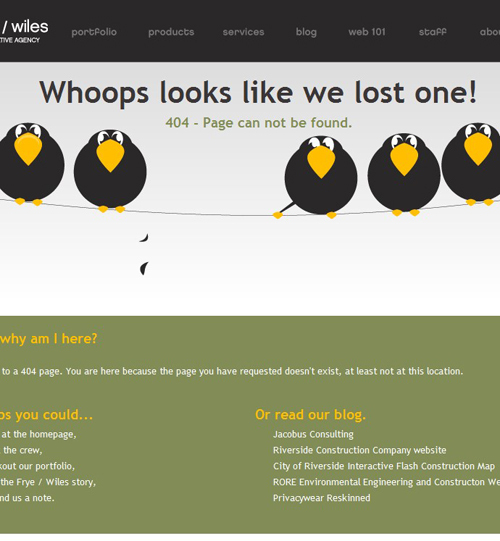 Thanks for including our 404 page in your post! Thank you for featuring antzFx.com 404 page. Hey! Awwwwsome stuff….Thanks for the inspiration!